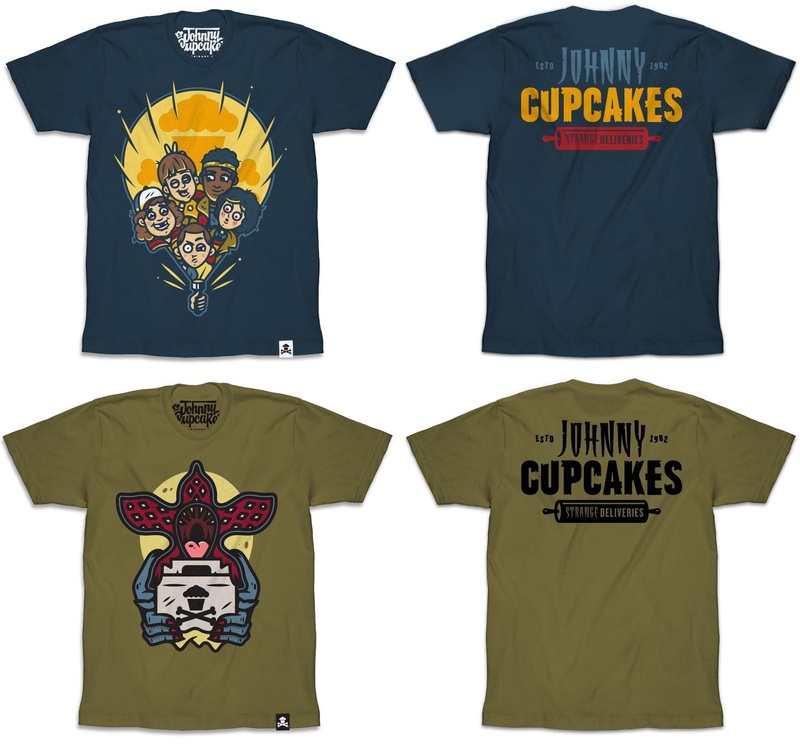 On Friday, Johnny Cupcakes released its third wave of Stranger Things t-shirts! 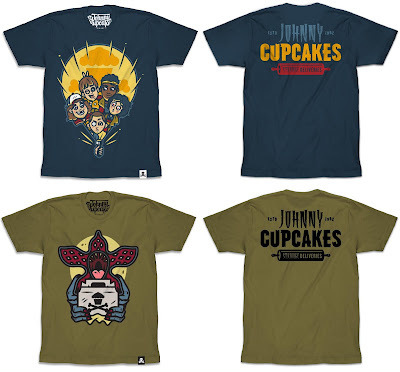 What a perfect release to celebrate the Netflix series’ season 2 premiere. 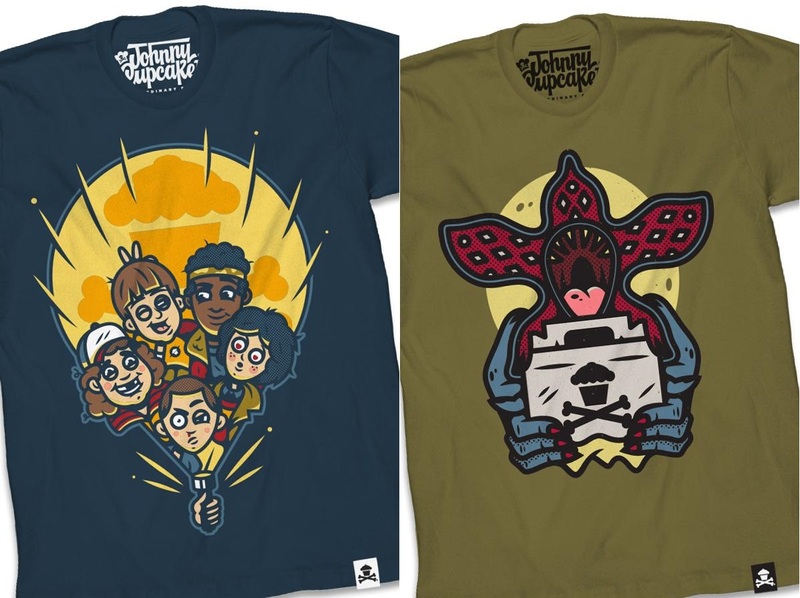 This series of t-shirts includes 2 designs: “Stranger Gang” featuring 11 and her friends Mike, Lucas, Dustin and Will, and “Strange Delivery” featuring the evil Demogorgon dropping off a very special JC package to one unsuspecting t-shirt fan. 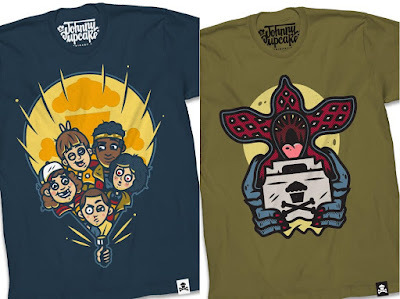 Both Stranger Things Season 2 T-Shirts seen here are currently available for purchase at the Johnny Cupcakes online store in sizes XS-XXXL for $35.99 each.